Bengaluru International Airport Limited (BIAL), among India's five privately owned airports, has said it is now the country's third busiest in terms of domestic traffic. Chennai's state-owned airport held that position earlier. International airports at Mumbai and Delhi, both privately-owned, are the busiest ones. "Bengaluru has the third highest domestic traffic in the country after Mumbai and Delhi, making it the busiest in south India," said Sanjay Reddy, MD of BIAL, in a statement. BIAL said its domestic traffic was 10.24 million in 2011 (with the December figure forecasted). There was no separate confirmation from Chennai airport on this data. Its latest available total passenger traffic data, in 2010-11 was 12 million, of which 80 per cent is estimated to be domestic traffic. 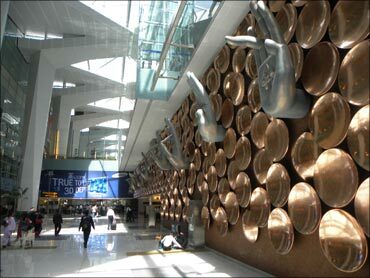 The Hyderabad-based GVK group has a 43 per cent stake in BIAL. Siemens Projects Ventures holds 26 per cent and Unique Zurich has five per cent. Image: Chhatrapati Shivaji International Airport, Mumbai. The remaining 26 per cent is divided between state-owned entities, Karnataka State Industrial Investment and Development Corporation and Airports Authority of India. 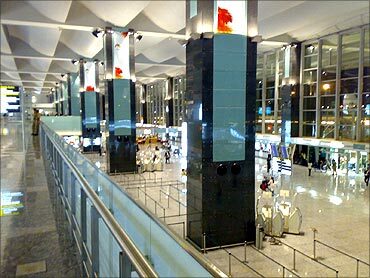 BIAL is among five privately-owned airports in India. Besides Delhi and Mumbai, others are Hyderabad and Kochi. 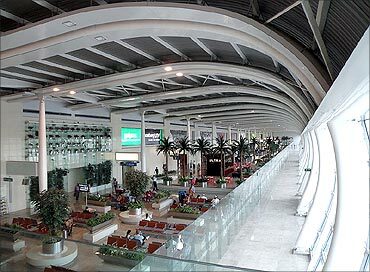 The GVK group is also majority owner of Mumbai international airport. BIAL's passenger traffic grew 11.66 per cent on a year-on-year basis. Aircraft movement rose seven per cent. The airport saw 116,851 aircraft movements and handled 12.53 million passengers (both domestic and international) during 2011. 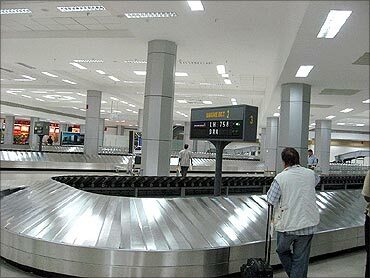 The airport, at present, handles 350 aircraft movements and services and around 35,000 passengers per day. Since it opened in 2008, it has grown 54 per cent, which it said is above the national average. Its annual cargo tonnage has grown at five per cent.